It is a problem in the region due to the high prevalence of the disorders compared with the rest of the world. Dr Mahmoud Taleb, president of the Centre for Arab Genomic Studies (CAGS), was speaking at the third Dubai International Conference for Medical Sciences, which opened yesterday at the Al Bustan Rotana Hotel. "The conference has two aims: First, to present the most recent developments in nephrology, emerging infections, non-invasive surgery and gastrointestinal disorders," said Professor Dr Yousef Abdul Razzaq, chairman of the conference's scientific committee. "Second, to provide a forum for scientists here to present their research to an international audience." The conference was launched by Hamad Abdul Rahman Al Midfa, Minister of Health, on behalf of Shaikh Hamdan Bin Rashid Al Maktoum, Deputy Ruler of Dubai, Minister of Finance and Industry and patron of the awards. "We in the UAE, following the directives of Shaikh Zayed Bin Sultan Al Nahyan, have always supported science and scientists and provided all necessary encouragement to promote and achieve advancement in science for the common good of humanity," Al Midfa said. Dr Taleb said: "Francis Collins, director of the National Human Genome Research Institute, has said that almost every human disease has a genetic basis, from a migraine to cardiovascular disease and breast cancer." 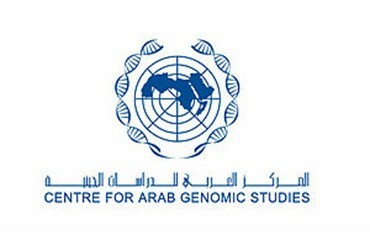 Since CAGS was established in June 2003, 215 genetic disorders have been identified in the UAE and 894 in the Arab world. "Of these 215 disorders, 178 came from local and international literature and 37 genetic disorders from hospital records not previously reported," Dr Taleb said. Before the centre was established, international reports had only indicated the presence of 16 types of genetic diseases in the UAE. The centre is based in the Genetics Department of Al Wasl Hospital.